Gaming on mobile devices has come a long way since the early days, and now millions of us enjoy playing games on a daily basis. There are some incredible mobile game apps available for Android smartphones and tablets, and they cover all different kinds of genres such as action, puzzles, and shoot-em-ups. 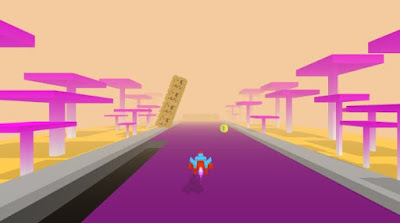 Endless runner games are among the most popular and can keep you entertained and engaged for many hours as you keep ‘running’ to try to amass the highest score that you can. The vast choice of running games available can be baffling if you don’t know where to begin. In a bid to make things a little easier we’ve reviewed one of the best running games for Android that will keep you entertained. What is Zero Mission all about? We present to you Zero Mission, an endless arcade where you will have the chance to enjoy a whole new twist to the conventional road running games. Brought to the Android platform by Leviia Games, the developers who created Hero Escape, this game offers an exciting gameplay, upbeat sounds and great arcade theme which is perfect for users of any age. The main objective in Zero Mission is to avoid obstacles while driving a vehicle on a road. Choose from various arcade-styled vehicles, take control of the one you pick and start the challenge. All you got to do is simply swipe left or right to move the vehicle left or right whenever you see an obstacle on your way. Don’t crash because it will be the end of your gameplay, try to stay alive as longer as possible. The further you make it, the higher your scores will be. Keep all your attention on the road, be quick with your fingers and put your reflexes to a real test. In addition, the game lets you snap photos or create GIFs of your gameplay, so you can easily share them with friends and family. Nevertheless, you will enjoy hours of fun, so make sure you try out Zero Mission today – it’s free for download on Google Play.